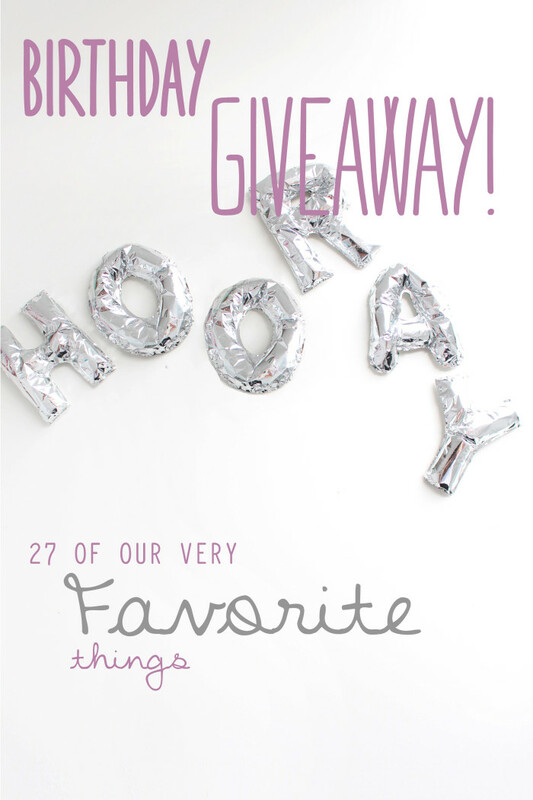 We’re Giving Away 27 of Our Very Favorite Things! 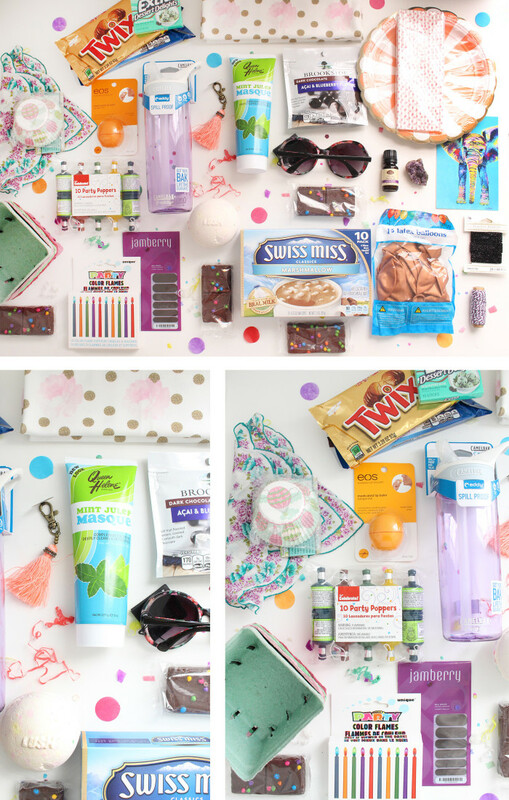 We’ve gathered together 27 of our very favorite items and treats and we’re going to send them all to one lucky winner! 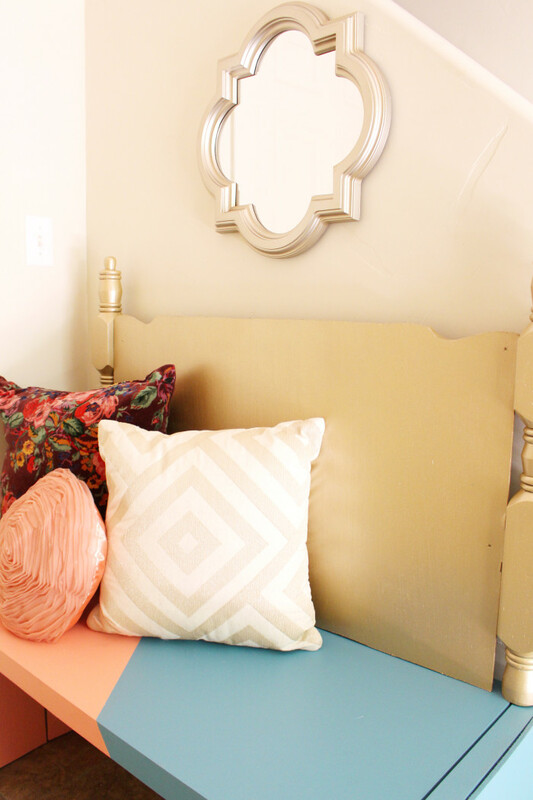 This giveaway runs until Thursday night (Midnight PST Oct 1, 2015). That’s it! So again, you don’t have to do all of them but if you do you’ll get SIX entries!! Just do one or all six of them and then leave what you did in the comment section of this blog post. You can also enter this giveaway just on our Instagram by following the steps on the giveaway post. 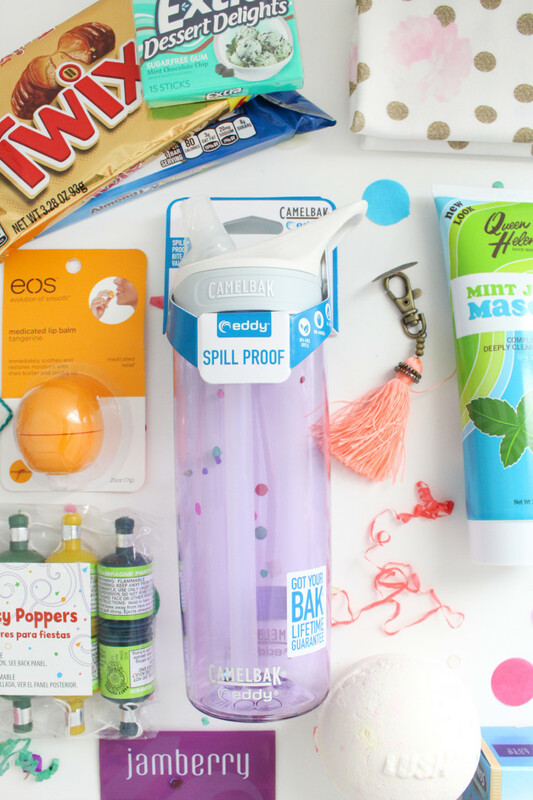 Ok, wanna know what some of our favorite things are/what you’ll be winning?! Here we go! 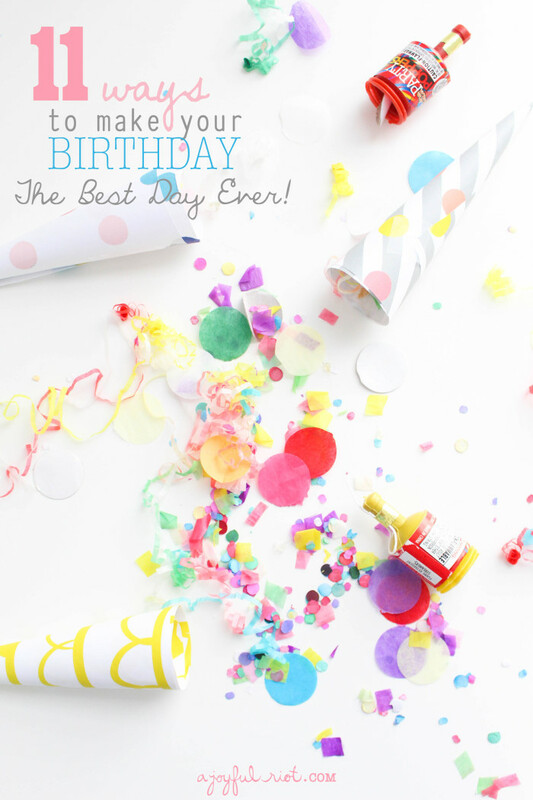 11 Ways to Make Your Birthday the Best Day Ever!! While we firmly believe that you have control of making every day a good day, it is even more applicable on your day of birth. 99% of the time, the decisions you make result in a great birthday or a less-than-stellar one. What other day of the year do you have this much control over? To dictate what you eat and who you spend your time with? People generally listen to your wants and needs on your birthday! Look, we don’t advocate selfishness…except maybe on your birthday. 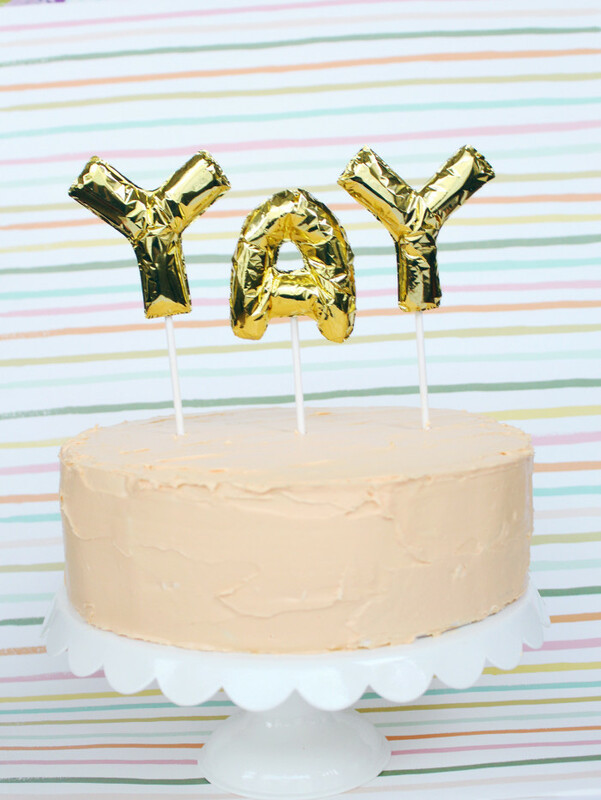 It is ok to go out of your way to do what you want and to say “it’s my birthday.” We all know people who say “ho hum” or “ehh it’s never better than any other day” but we think that IT SHOULD BE! This is the day everyone celebrates the fact that YOU are on earth! But if you leave this day up to everybody else, expect to be disappointed. 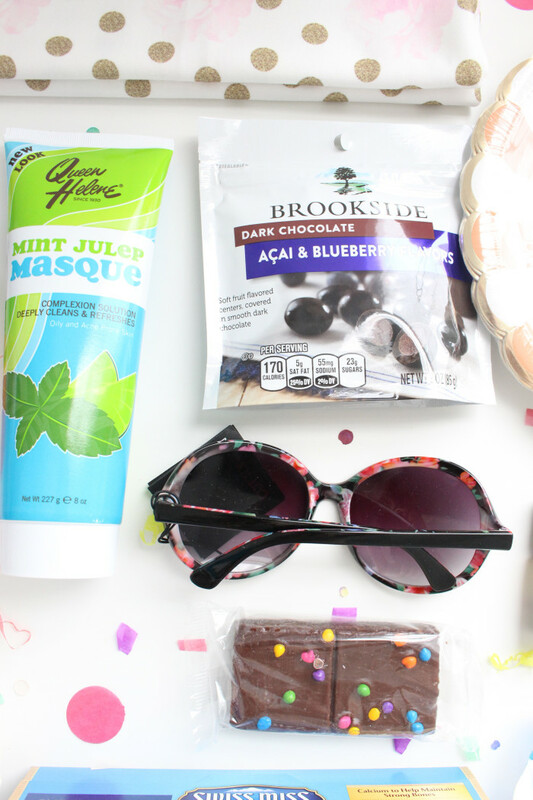 Every birthday needs confetti! That’s like a law right? Well it is in our house! 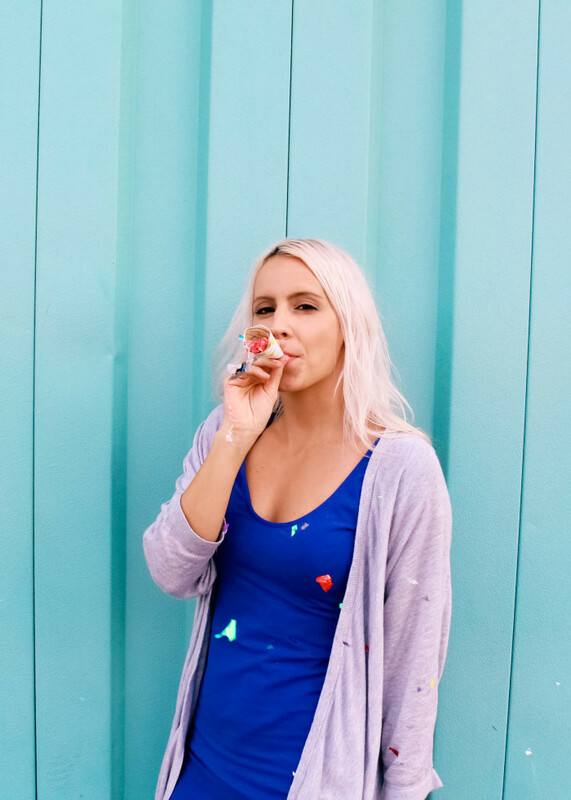 I love all kinds of confetti poppers and they’re super easy to find and cheap to pick up so that’s always a fine way to go (plus you can dress those up super festive with these free popper wrappers!) but this year I decided to make the confetti a little more interactive and personal and whipped up these super simple (and even cheaper than poppers!) 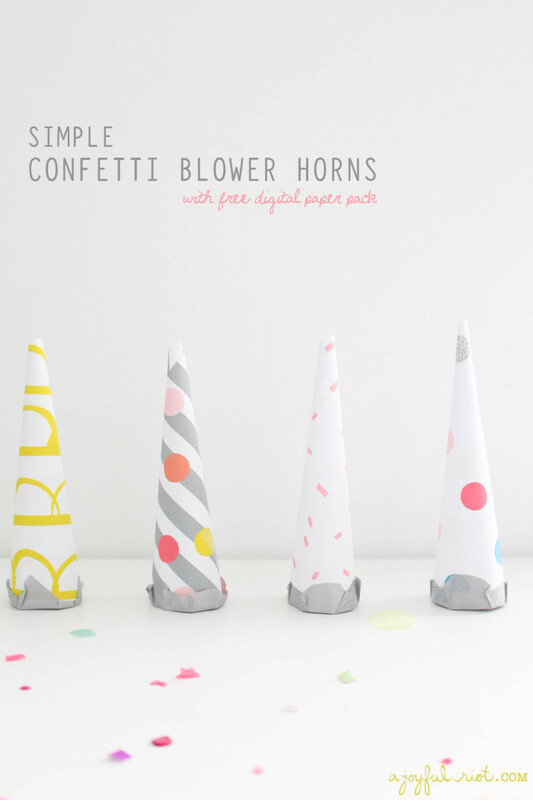 confetti blower horns! 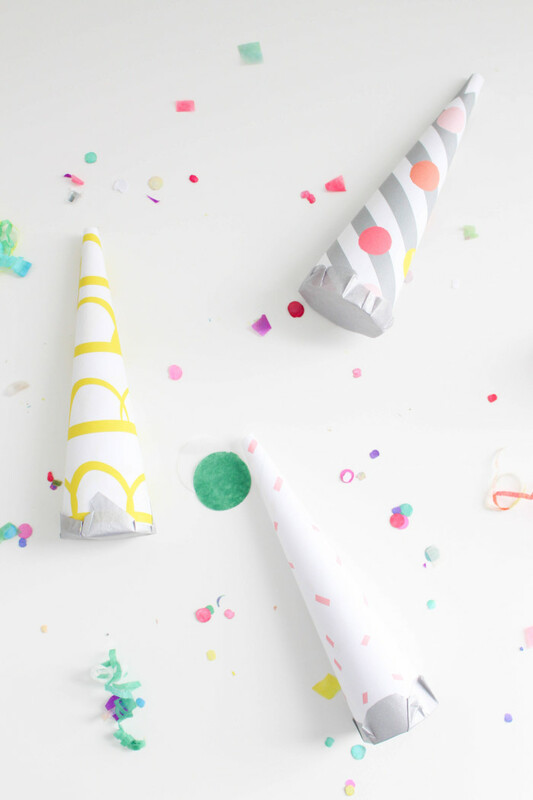 I’ve seen confetti wands (which I love) but these are even better because you can use any paper that matches your event and we’ve included a free pack of four cute and party-perfect digital papers for you for free! 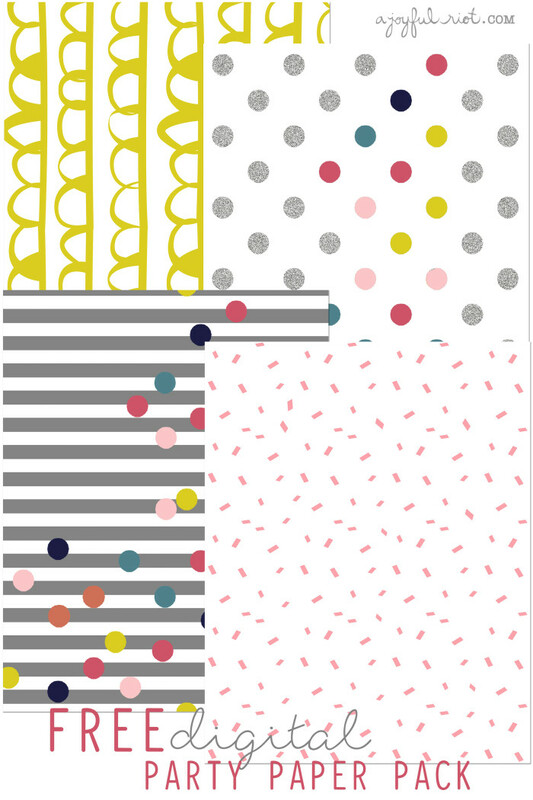 Featuring bright colors, glitter, scallops and confetti, use these papers for anything from these poppers to gift wrap to invitations to party hats! This may be an unpopular opinion but I don’t really like cake. Listen. Cakes are cute, frosting is my secret boyfriend, and cake batter is easily the greatest flavor on planet earth. Sometimes I eat cake batter and think “my mouth could not possibly be big enough to fit as much of this in it as I feel like I need to right now.” But just a regular, spongey, baked cake is not something I ever really want to eat. I think maybe it’s the frosting to cake ratio. See, I like (sometimes love) cupcakes. And I think that’s because there is a decently high pile of frosting sitting on top of like 4 bites of cake. 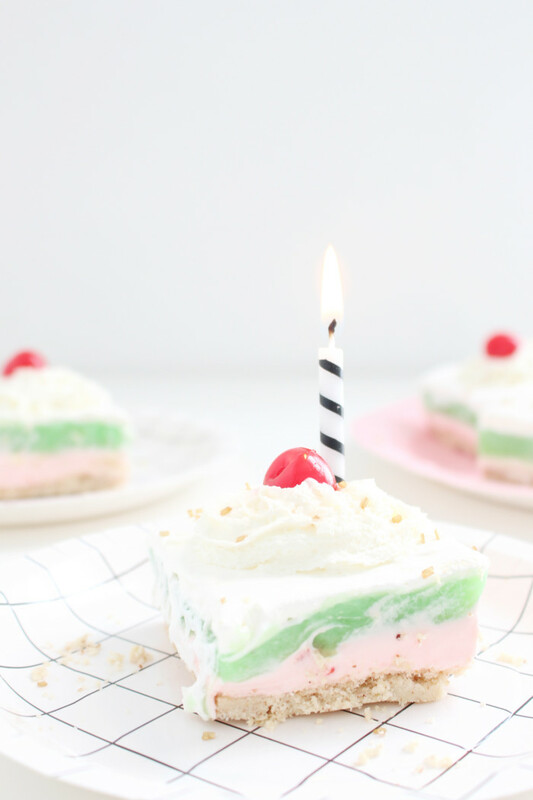 Regardless, one of my all time favorite desserts of my whole life, and one that many member’s of our family have chosen as their “birthday cake”, is this pistachio pudding layer dessert my mom has made ever since I can remember. In my house we call it “David’s Delight”, I’m actually not sure if that’s because my dad loves it or my older brother loves it (they’re both named David). Well, actually, I do know they both love it (just not sure who it’s named after specifically) as does every other person in my family and every person at every work, church or friend function I’ve ever brought this treat to. It is a hit because IT IS HEAVEN IN YOUR MOUTH. It may look like a typical potluck-y, old-person-layered-something, but it’s not. It spans the ages and the taste buds and it’s sinfully delightful. 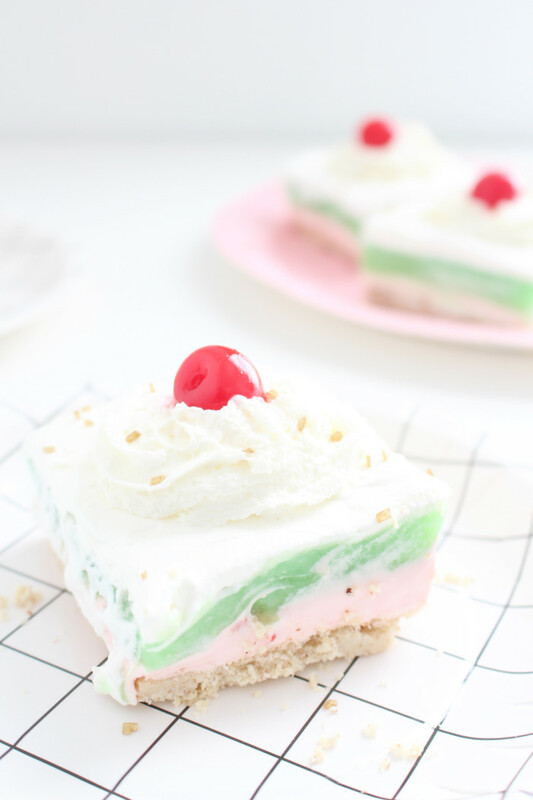 This is, truthfully, my favorite home made treat ever. 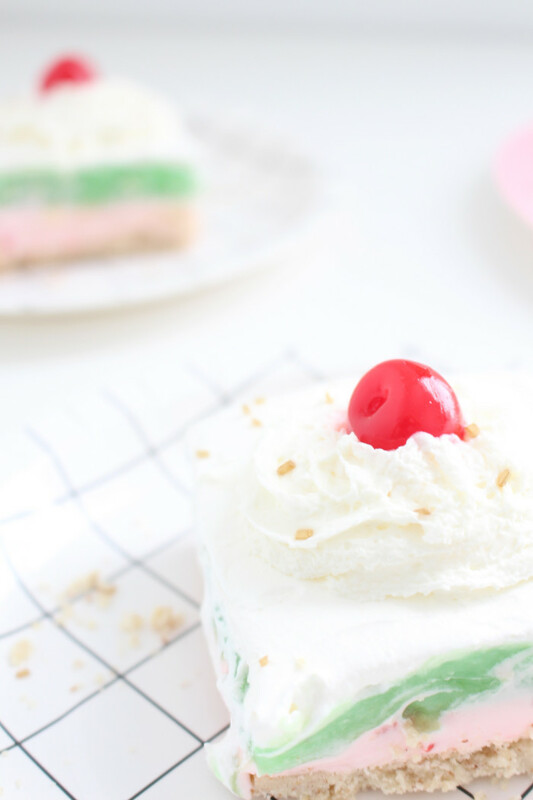 So in honor of our upcoming birthday (t minus 3 days) I decided to amp up the dessert a teeny bit with two of my other favorite flavors, cherry and amaretto, and rename it “Twin’s Delight”! 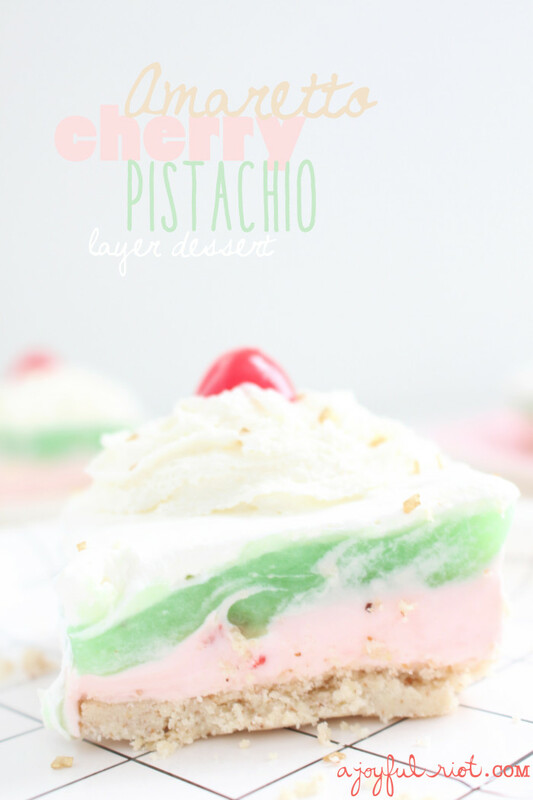 Pistachio [pudding] and amaretto are already similar in taste so they blend perfectly in this sweet concoction. The cherry is very subtle and can be left out altogether if you prefer. Or even amp it up more! (Just be sure to add as much powdered sugar as maraschino cherry juice to help the texture remain the same). Really though, I’ve been working on this idea for MONTHS and I finally just finished it! 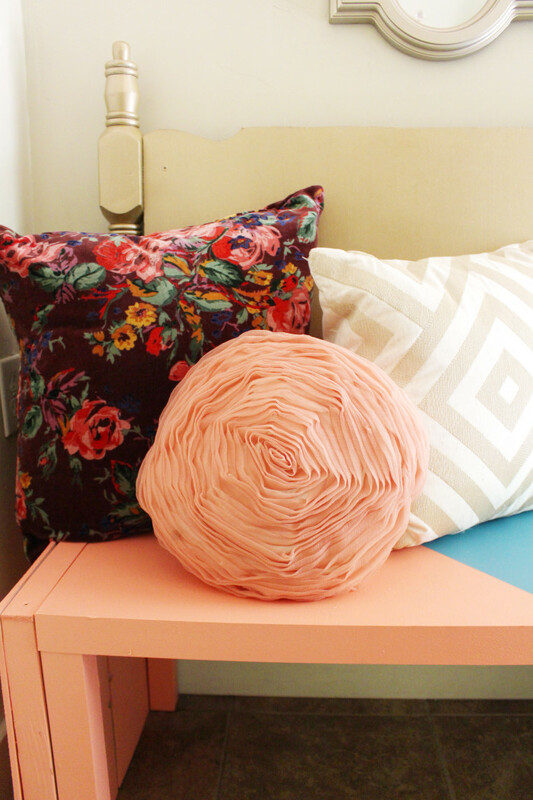 I’m so excited about how it makes my entryway feel so much more welcoming, clean and colorful. 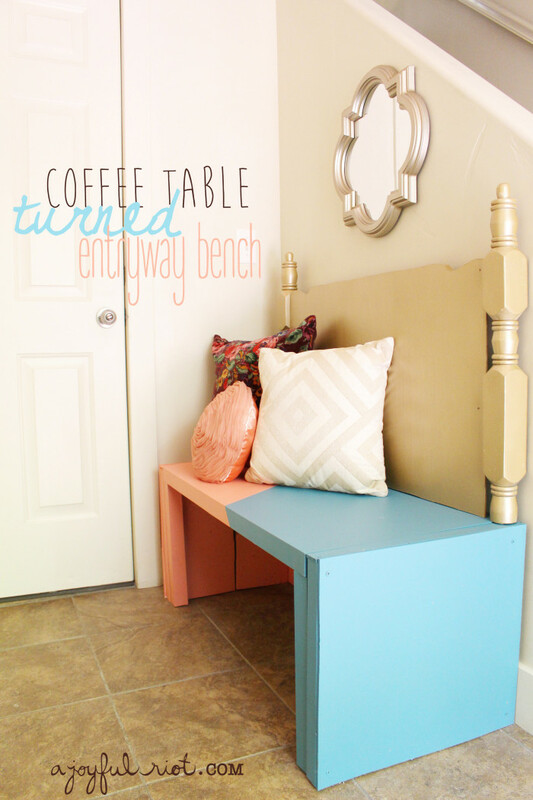 It really brightens up the space in addition to being maybe the most functional piece of furniture we own, read on to see why! (hint, it has to do with my cat).